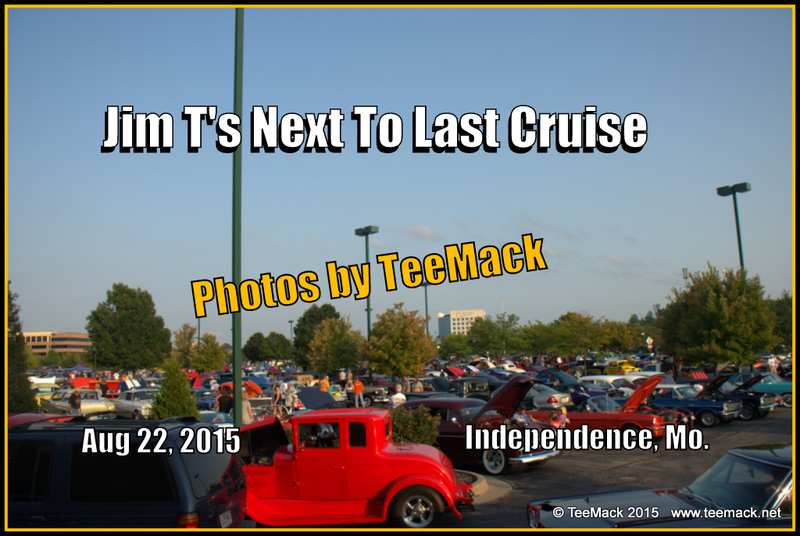 Jim T's Weekly Saturday Summer Cruise In, was held at the Pavilion at Hartman's Heritage Center in Independence, Missouri on Aug. 22, 2015. It is the largest weekly cruise in, in the Kansas City area. There was approximately 1100 vehicles that attended the second to last cruise at the location. Everyone that attended to have a great time. 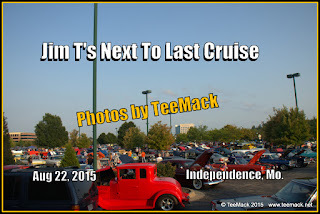 Click here to view the photos of the second to last cruise.